You know when you hear about something new-to-you and then you start seeing it everywhere? I think, how in the world could I have been so oblivious to this genius creation all these years?! It really makes me think I am missing out on so many things just because I'm not paying enough attention! 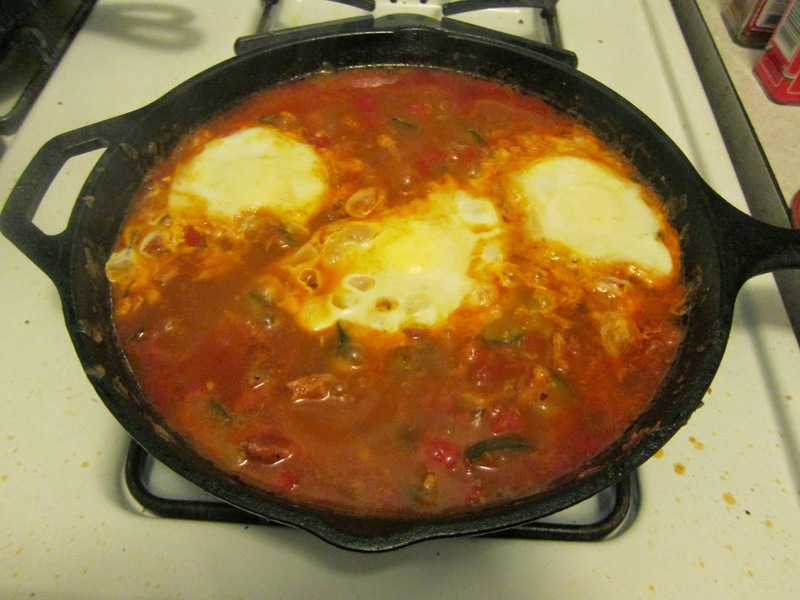 Well, my latest discovery was shakshouka. A few months ago, Kurt and I had a fantastic dinner in Astoria at The Queens Kickshaw. We were pretty out of our element with the menu and asked the waitress a ton of questions. One dish that piqued our interest and came highly recommended was the Kimchi Shakshouka. It was excellent! The next week, I was at one of my favorite lunch spots and they have it on their menu and I never noticed. Soon after that, I was browsing my cooking blogs and came across this great recipe on TV Dinner. Fine! It's decided. I have to try my hand at making this thing. 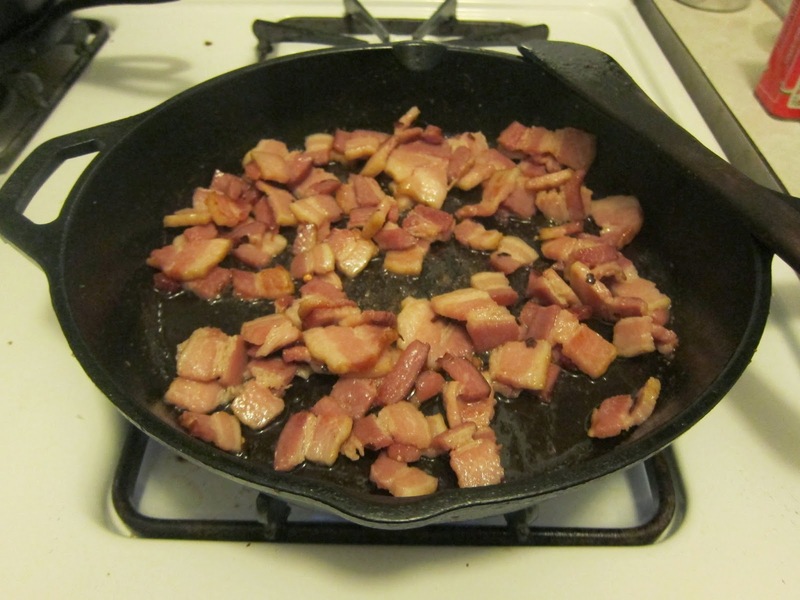 Brown some bacon in a cast iron pan. Add in some onion/shallot and garlic. 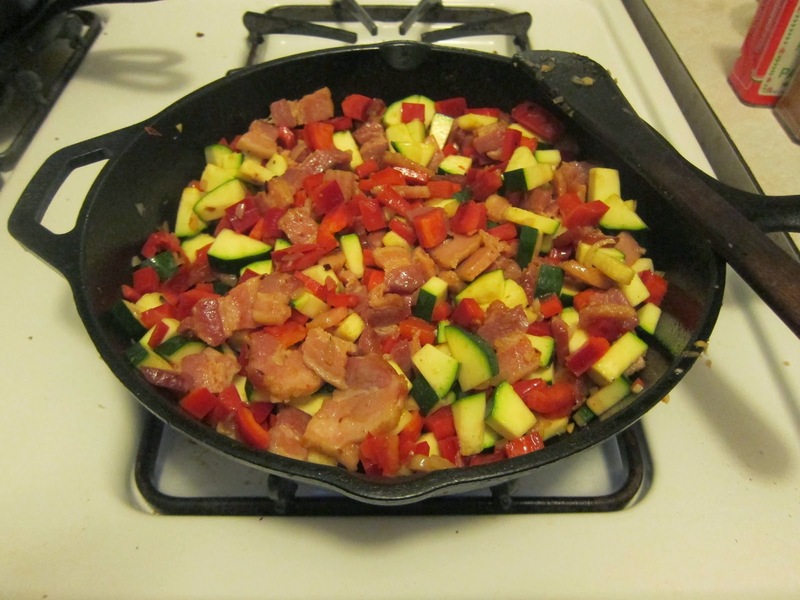 Toss in some veggies. 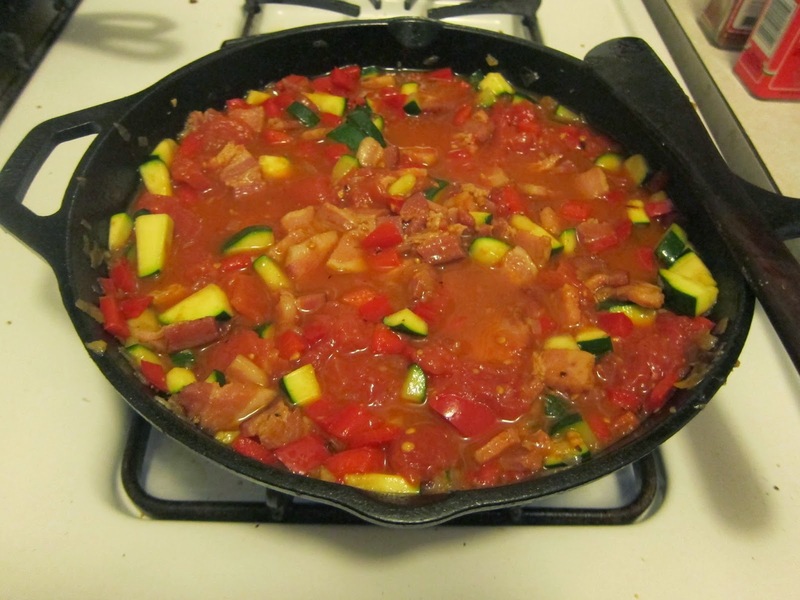 This particular day we had zucchini and red peppers on hand. Once all those bits are browned, pour in some tomato juice and let it cook down forever. At this point you can add a little brown sugar and some cayenne pepper to spice it up. You want the mixture to get pretty thick, so pour yourself a glass of wine (or a second if you cook like me) and wait it out. 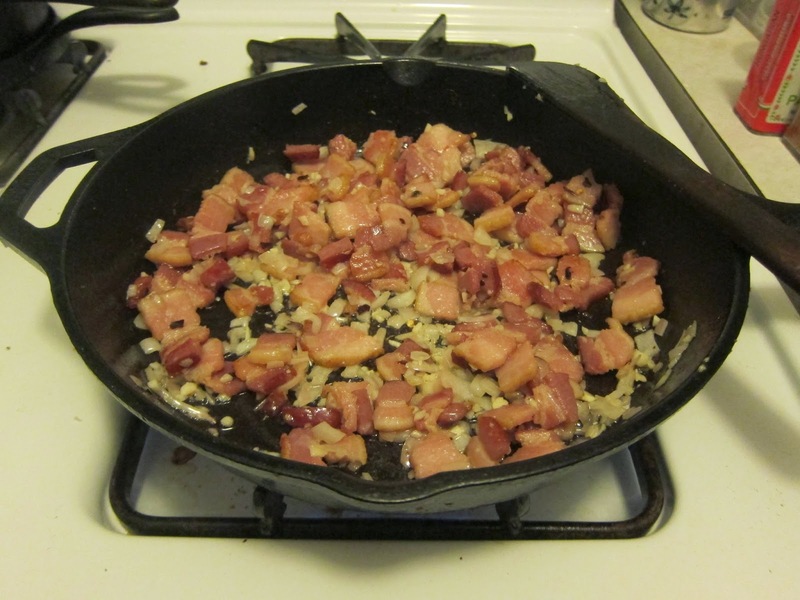 *Once the mix is sufficiently thick, the extra important step is to crack some eggs on top. 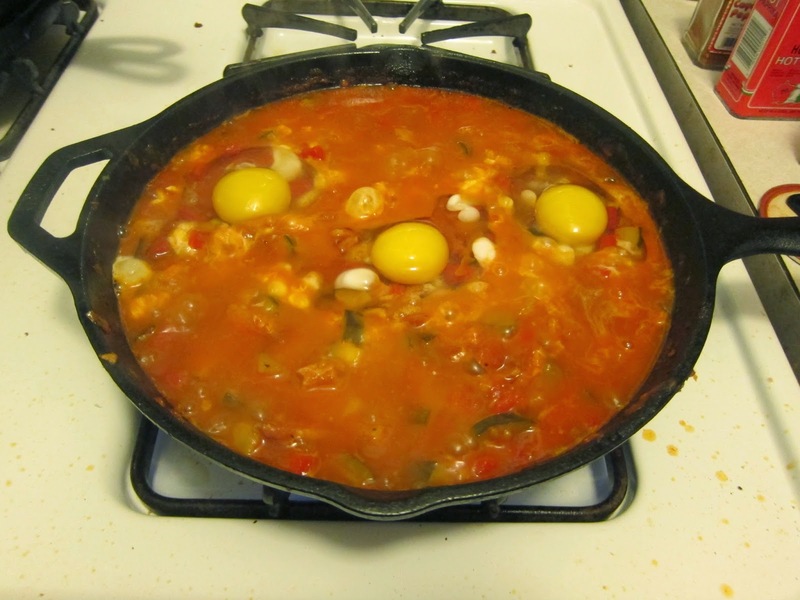 I really like eggs, so normally I would have used as many as I could fit, but I misjudged our inventory and only had three :( Once your desired number of eggs are added, put on the lid, reduce the heat, and simmer for 10-15 minutes with no peeking. While the eggs are cooking, artfully arrange some bread/toast/pita and other toppings of your choice on a plate. 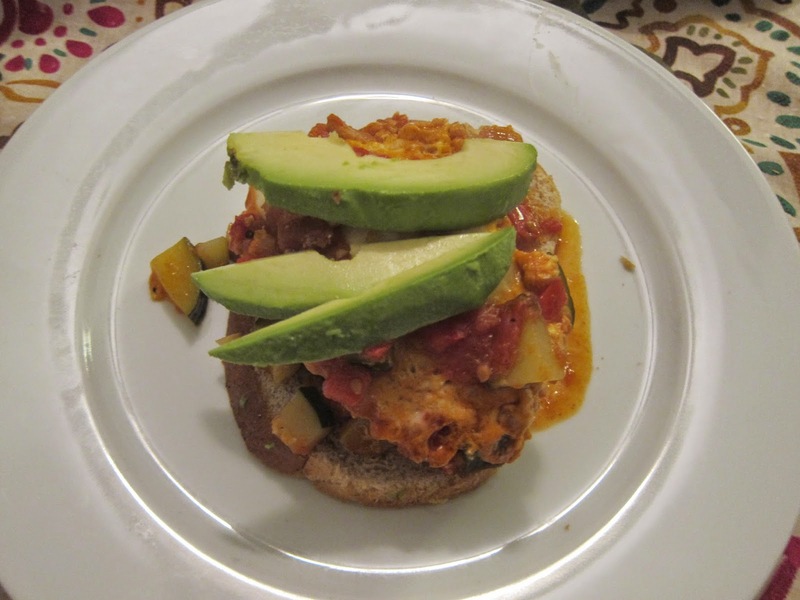 I don't know how often avocado gets included with shakshouka but I thought it was a great addition, so if you have some on hand, I would strongly suggest adding it. 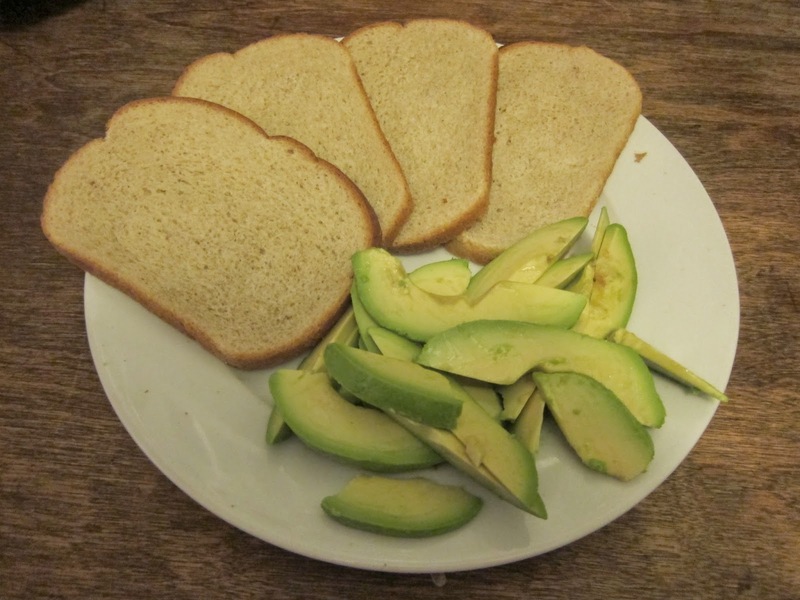 Once the eggs are firm, scoop some of the mixture on your bread and top with avocado/any other topping that pleases you. Eat with a fork and knife and enjoy! This looks so easy and healthy! I am definitely going to try it soon! This looks so good. Oh gosh. So hungry now.